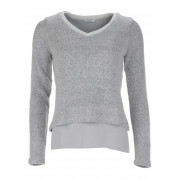 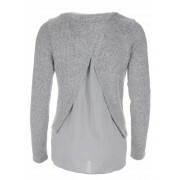 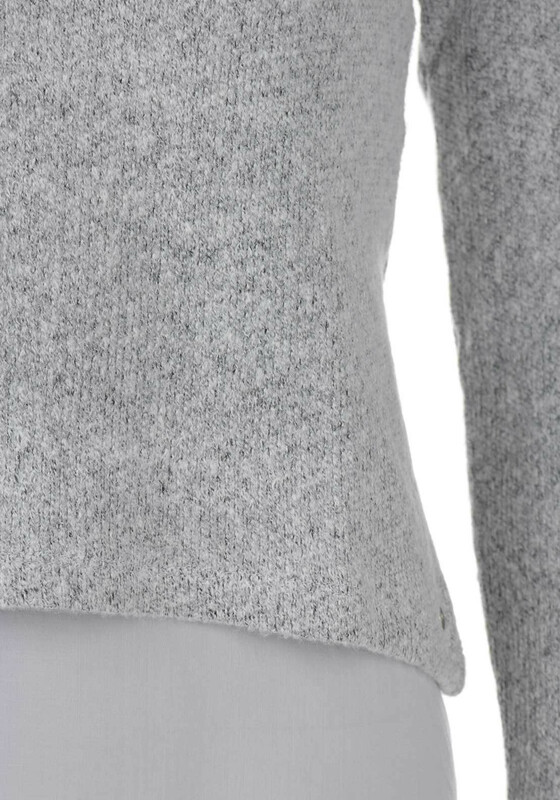 Tiffosi gives knitwear a new season update with the Esther v neck jumper in grey. 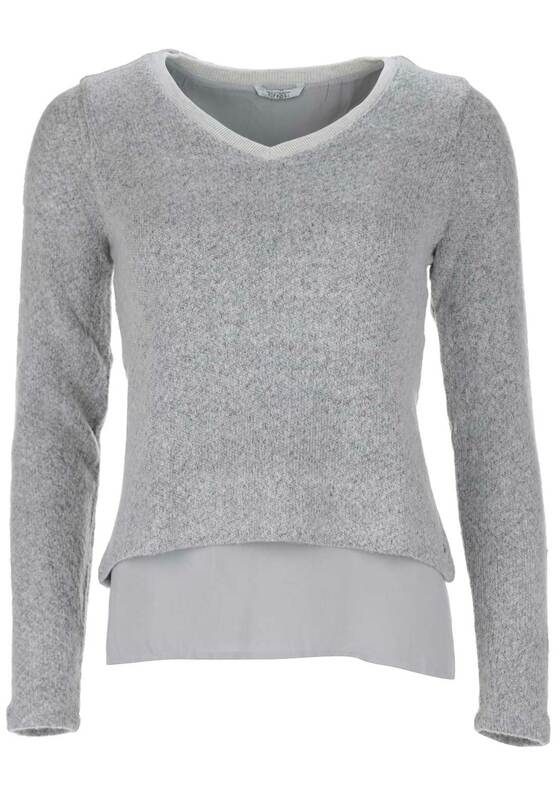 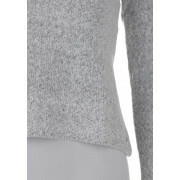 This stylish knitted pullover is accented with a fabric trim which also appears on the wrap over back. 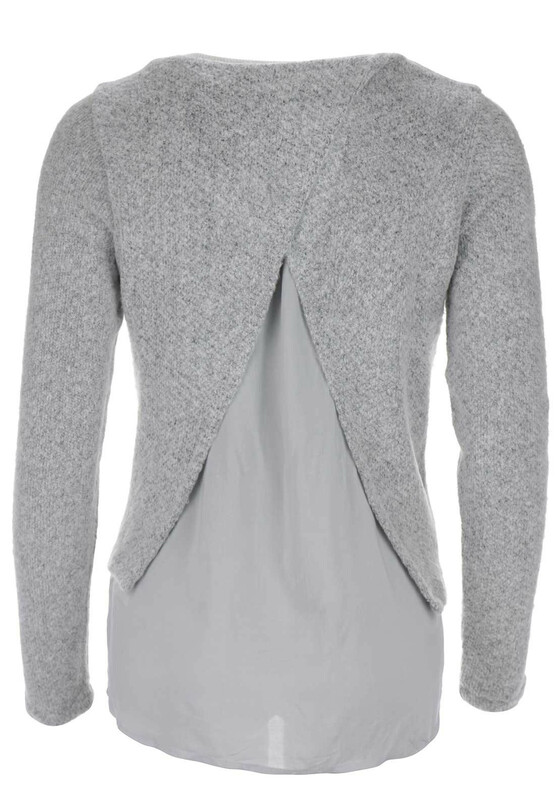 Team with denims for a cool daytime style.